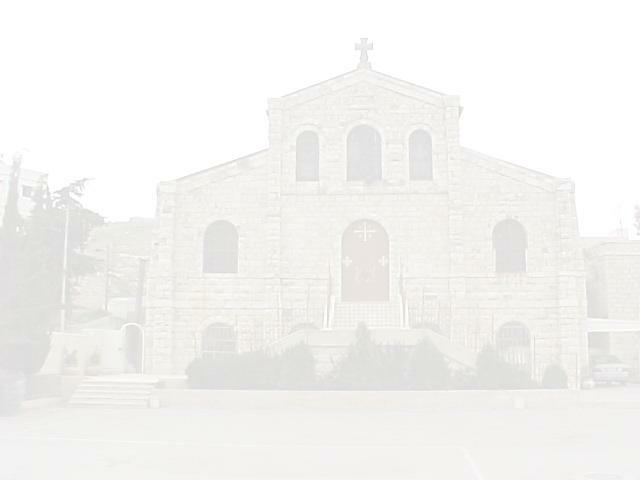 FUHEIS  From Fuheis to Karak and from Hosson to Rmeimin, century-old vintage churches, some of them rapidly deteriorating, wait in line for renovation. A businessman from Salt, 29 kilometres west of Amman, has already renovated the oldest Latin church in Jordan, built in his hometown in 1871. This was the first of nearly 12 religious sites spread by the Latin Patriarchate over a 50-year span along major towns of then-embryonic Jordan around the dawn of the 20th century. The structures of other monasteries, notably that of Rmeimin, are still in bad shape, waiting for the goodwill of believers at home and abroad. In contrast, the Immaculate Heart of Mary Church at Fuheis has been a story of success and diligence. In this hilly town dotted with vines and olive trees, 20 kilometres west of Amman, residents and philanthropists have joined ranks in collecting funds to repair the town's church. With JD78,264 collected since the launch of the donation campaign in January 2001, we have restored 50 per cent of what is required, said Father Hanna Kildani. The funds, Kildani added, are expected to support one month of construction work. Donations have hitherto come from Jordanians living in Aqaba, Fuheis and Amman as well as from the Palestinian town of Beit Sahour. Expatriates from as far as the United States, Britain, Italy and the Netherlands also contributed to this renovation. He said more donations are required for the renovation process, estimated to cost JD165,000, so as to inaugurate the renovated church possibly by Christmas or Easter 2002. The core of the renovation is to replace the church's asbestos roof, believed to cause lung and stomach cancer, with modern red roof tiles. Albeit more expensive, tiles were our best choice to conserve the environment and avoid cementing the structure's seventy-year-old foundations, said Father Kildani. In the process, all civil engineering, plastering, windows and doors, the electricity network and the entrance will be redone. The rustic, Arabesque floor tiles will not be changed. The marble altar will be moved forward. The reconstruction was launched under the motto I will build my church, coined by eleven-year-old local student Omar Hattar, according to the priest. Donations have ranged from JD100 to more than JD500. Father, accept our donation of $500 for our Mother, the Church of Fuheis, wrote a girl from the local community living in the United States by e-mail. Mary Hattar Sweiss, in her 40s, said she has grown attached to this monastery with its social and religious ties. More data on the church, reconstruction project and donation channels can be found at the Immaculate's Internet site http://go.to/bmv.restoration. Built in 1932 as a joint venture by the Jerusalem Latin Patriarchate and the Fuheis Latin Parish, the church has stood as a testimony to inter-community co-operation. Scores of Fuheisi volunteers worked round-the-clock to build the House of God in their midst. Fuheis now houses a second Latin church in addition to two Orthodox churches and one Catholic church. From 1932 to 2000, the Immaculate Heart of Mary Church witnessed 35,000 masses, 818 weddings, 2604 baptisms and 631 funerals. Fourteen priests have served this church and neighbouring communities over the past seven decades. Kildani, who served as parish priest in Abu Dhabi and Palestine, has been posted in Fuheis since 1989. Kildani also heads 24 Latin schools and educational centres across the country.